Thinking about the state, and the state of play, at the grad conference today reminds me that I need to re-read Schiller. “Tonight, his mind was awash with visions: nothing remained. He was ill with doubt and searching. He longed for a light that would teach him, forever and forever, and beyond all question, the way to go; for a power that would bind him, forever and forever, and beyond all crying to the love of God. Or else he wished to stand up now, and leave this tabernacle and never see these people any more. Fury and anguish filled him, unbearable, unanswerable; his mind was stretched to breaking. For it was time that filled his mind, time that was violent with the mysterious love of God. And his mind could not contain the terrible stretch of time that united twelve men fishing by the shores of Galilee, and black men weeping on their knees tonight, and he, a witness” (75). The potential problem with world literature, of course, is that it isn’t political enough. In some iterations, it reinforces the center-periphery model that postcolonial theory sought to do away with (see Casanova – anachronism as something that ‘provincial’ writers engage in). In other iterations, it commodifies third world writers without necessarily growing local reading audiences or allowing deep engagement with local forms, traditions, politics. In still other iterations, it consolidates a canon that prevents minor voices and minor literatures from being heard. But nevertheless, the question of world literature remains important. Partly because that’s what literature does – it creates worlds (which is why it’s so easy to hate on Victorian realism) – and partly because the ways that literature travels continues to shape our contemporary world. 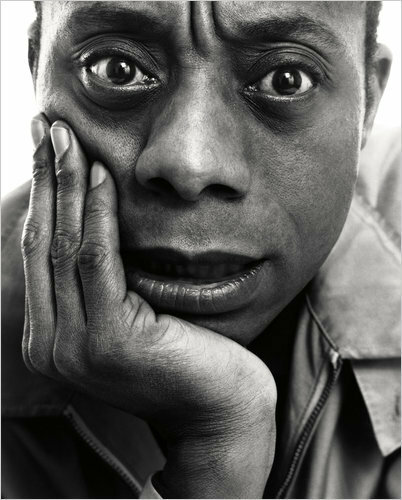 And Baldwin, more than any writer, shows the deep-seated pain and anguish that emerges from feeling and knowing and seeing your world and nevertheless knowing that it is not and may never be ‘worldly.’ That your world will not travel – certainly not in the ways that you intend it to. And that other people’s sense of the world may exclude you – that Shakespeare’s world travels to white people – even stupid white people, but doesn’t travel to black people in the same way. And knowing all this, Baldwin so powerfully depicts the fury, the anguish, the mystery and also the love that emerges from the collapse of distance, of time. And that this kind of worldliness and world travel doesn’t result from education, improvement, or ‘becoming white’ but from embracing the contradictions of one’s firmly rooted but profoundly unstable sense of the world. Worldliness, for Baldwin, means seeking the “forever and forever” and finding it – only to have it prove to be insufficient.